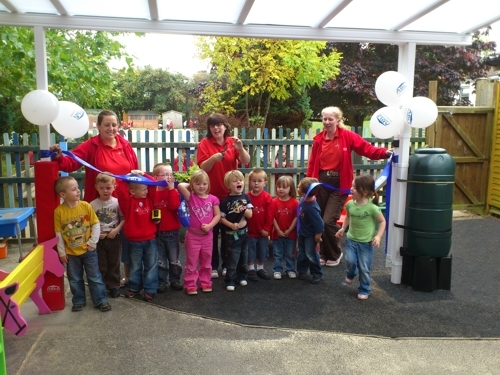 Rupert’s Under 5’s Pre-school in Seaton, Devon are currently celebrating the opening of their exciting new sheltered play area. The staff at the Pre-school chose to have the canopy installed to encourage the children to play outdoors come rain or shine. 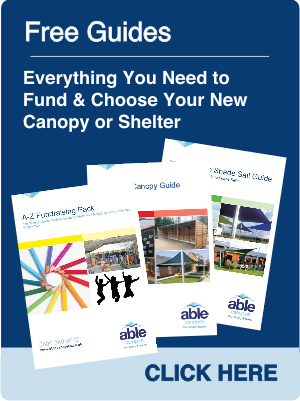 Despite the limited funding available to the education sector at present, the staff at Rupert’s Under 5’s were determined to provide a much needed shelter for their children and so arranged various Bingo and Quiz nights to fund the canopy they desired. The fundraising events were a big success and now the children at the pre-school can enjoy learning and playing outdoors.